I love Westerns, but I don't think this is going to be your typical 'Western' with Jerry Bruckheimer producing and that's not a bad thing if they don't mess with the Lone Ranger mythology. This is after all coming from Disney, so I don't know how watered down this could get since they are aiming this at the kids. I will Wait For The DVD release most likely. I just can't bring myself to want to be excited about this. Didn't the head of Disney say that story didn't matter? Just checked. He did. And the picture accompanying the article? Johnny Depp. And considering how much I heard they spent on a movie about two people on horses, I just... nothing. I got nothing. This is gonna be like Alice in Wonderland to me. Don't care. If you have a good reason for me to care, do let me know. And I don't say all this to be snarky, I'm just being honest with my feelings. I'm the opposite of you Chip.... I so don't care about Westerns. That's me. I also don't care about musicals or war movies. I thought the genre fell out of favor with most movie audiences. When was the last western that registered well with audiences? Anyway, the only thing I know was the price tag and Neumatic, trying to conceive where the expense came from. Very lucky. It could have been worse. I'm surprised with any Studio in this day and age that anyone, especially someone high up on the pay scale that Depp is, would even be allowed to do any stunts, even one as "simple" as riding a horse. To me, the western is... I don't want to say cheap, but they're gritty and close to the sand and grime. To me, big scale westerns that truly rock are "The Good, The Bad, And The Ugly" and "Duck, You Sucker" which I feel like should have been more the model for this flick than Pirates of The Caribbean on Horses. The thing about the old west is that they were still building it, everything was outdoors, you were drenched in sun and up to your elbows in the elements, you were self reliant because you needed to be and life was cheap because it was so easy to lose. Now, I actually like the idea of putting a superhero or a Batman-esque figure in this world, but how is it not those big-budget Zorro movies? And I remember liking the first one, but how often do we think back on those? What is the comment they're trying to make on the old west? What is the comment they're trying to make on the old west? See, here's how I see it: movies are a constant conversation, this is why screenplays age like fish, you're making a comment on something and trying to push the conversation forward. If your movie doesn't say anything, even if it's a joke, people won't care. The Lone Ranger is everything wrong with Hollywood -- Vulture. Ironically enough, my local Drive-In Theater is showing this tonight. The movie is getting ripped by everyone. They say movies are like sausages: if you like them, you shouldn’t watch how they’re made, because it’s an ugly process that involves a lot of pigs’ anuses. But around here we disregard conventional wisdom and go behind the scenes of your favorite Hollywood productions, and also of “The Lone Ranger” (read our review of the film here). The NSA was kind enough to lend us their recording of the boardroom pitch meeting that led to this big-budget extravaganza, a transcript of which is copied below. DISNEY EXEC. #1: No indeed! DISNEY EXEC. #2: We’re very familiar with your work, Mr. Bruckheimer! DISNEY EXEC. #2: We’re thrilled you wanted to meet with us! Whatever you’re pitching, we just spent $30 million on it. DISNEY EXEC. #3: Lay it on us! DISNEY EXEC. #2: Gentle Ben? DISNEY EXEC. #3: Mrs. Garrett from “The Facts of Life”? DISNEY EXEC. #1: Richard Nixon? DISNEY EXEC. #3: Mrs. Garrett from “Diff’rent Strokes”? DISNEY EXEC. #1: Sherlock Holmes? DISNEY EXEC. #2: The Katzenjammer Kids? DISNEY EXEC. #3: Simon Legree? DISNEY EXEC. #1: Tristram Shandy? DISNEY EXEC. 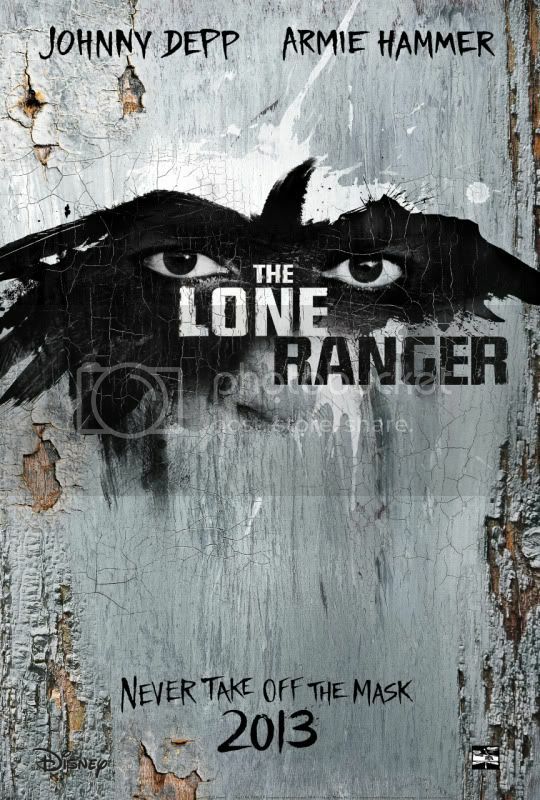 #1: The Lone Ranger! DISNEY EXEC. #2: Of course! It’s obvious! DISNEY EXEC. #1: I can hardly walk down the street without some 90-year-old man urging me to make more films based on characters from 1930s radio. DISNEY EXEC. #2: What’s your concept for it? A faithful recreation of the classic character just as people remember him wouldn’t work, obviously. DISNEY EXEC. #1: Johnny Depp as the Lone Ranger?? DISNEY EXEC. #2: That doesn’t make any sense at all! DISNEY EXEC. #3: We love it! DISNEY EXEC. #1: He was great in the three “Pirates of the Caribbean” movies. DISNEY EXEC. #2: There were four “Pirates of the Caribbean” movies. DISNEY EXEC. #1: Get outta here! DISNEY EXEC. #2: There were! DISNEY EXEC. #1: That can’t be right. DISNEY EXEC. #3: Look, we learned a long time ago not to question Johnny Depp’s eccentricities, no matter how forced or self-conscious they may be. DISNEY EXEC. #1: Besides, I think the dead bird on the head matches the original story of Tonto, from the Bible. DISNEY EXEC. #2: Oh, yes. We know all about the reverse restraining order they have. DISNEY EXEC. #3: They’re never allowed to be more than 100 feet apart. DISNEY EXEC. #1: That doesn’t surprise me. Oh, in the movie, you mean. DISNEY EXEC. #2: Not that it really matters when you have Johnny Depp as Tonto, but who did you have in mind for the Lone Ranger? DISNEY EXEC. #3: Plenty of options there. DISNEY EXEC. #1: I have Paul Walker on speed-dial. DISNEY EXEC. #2: Sam Worthington is looking for a project. DISNEY EXEC. #3: Josh Hartnett has been sitting in the lobby since 2009. DISNEY EXEC. #1: Ha ha, that’s not a real person! DISNEY EXEC. #2: No, it’s the guy who played the Winklevoss twins in the Facebook movie! DISNEY EXEC. #3: Can we afford both of him? DISNEY EXEC. #2: There’s actually just one of him. DISNEY EXEC. #3: That movie was bulls***. DISNEY EXEC. #1: He’s like the Chris O’Donnell of actors! DISNEY EXEC. #2: OK, you’ve convinced us. Let’s green-light the hell out of this thing. DISNEY EXEC. #3: However much it costs, however long it takes, we’re committed. DISNEY EXEC. #1: Now you’re just being silly. Let's try this link again. Test One. Test Twp, if Test One Doesn't Work. This really isn't charring anyone's tree, is it? (yeah, that's an Arrested Development reference). So, if no one goes to see the movie, would the studio change the name of the title to The Alone Ranger?